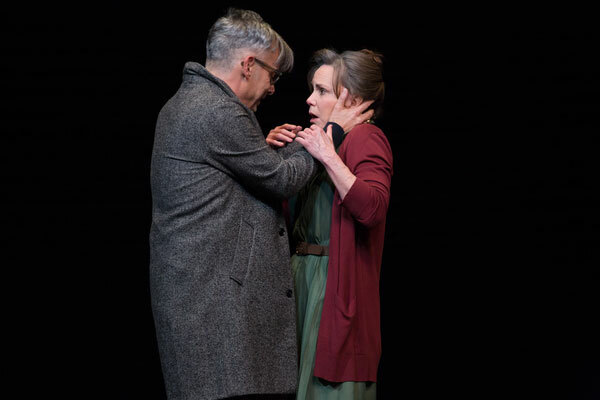 Landing the role in The Glass Menagerie has been a highly coveted goal for Sally Field. The two-time Oscar winner has had a tremendous tenure as one of Hollywood’s premiere actresses, known for film such as Norma Rae, Forrest Gump, Steel Magnolias and Smokey & The Bandit. Still, she considers the role of southern matriarch Amanda Wingield to be her dream role. The opportunity to play the character first came about in 2004 when Field was cast in the role at the iconic D.C.’s Kennedy Center in Washington, but it couldn’t come to the Great White Way because of other commitments. Field, who made her Broadway debut in the replacement cast of The Goat, or Who Is Sylvia, was disappointed she couldn’t bring the show to New York. Last year, producer Scott Rudin asked Field to lunch and proposed the idea of coming back to Broadway and joining The Great Menagerie. Over the last dozen years of so, her long-time friends has tried to persuade Field back to Broadway with numerous offers but she always declined. When he proposed the idea this time, she initially thought that he was kidding. Once she realized he wasn’t, she was over the moon. Although it’s been 13 years since she took the stage at the Kennedy Center, Field’s immense passion for the role has only continued to grow. At long last, Field had been given another opportunity to immerse herself in the role she had dreamed of doing on a Broadway stage her entire career. Joining her on stage will be Tony-winning director Joe Mantello as Tom, Finn Wittrock as Jim and Madison Ferris as Laura. While Mantello is of course better known for his directing (he earned a 2016 Tony nom for directing The Humans and won the award for both Assassins and Take Me Out), but he has appeared in The Normal Heart on stage and screen and was Tony-nominated for Angels in America. Ferris will be making her Broadway debut, while Wittrock first graced the Broadway stage in Death of a Salesman. The show was originally going to open at the Golden Theatre, but demand for tickets has necessitated its move to the Belasco, which seats 1,016. As Field prepares for opening night, there is little doubt that she will be tuned in and prepared to give a once in a lifetime performance. Fans looking to grab The Glass Menagerie tickets can purchase them directly through the box office, where tickets range from $39-$149.